Give pints, get scholarships! It’s never been easier for schools to supplement their scholarship funds – while educating, engaging and exciting student volunteers about community involvement and supporting the constant need for blood in their communities. By hosting one or more Blood Drives with Miller-Keystone Blood Center and achieving recruitment benchmarks, a student is guaranteed a scholarship! Through Miller-Keystone’s High School Hero Recruitment Scholarship Program, your school and students can help others, and create new opportunities for supporting students in their academic endeavors. The High School Hero Recruitment Scholarship is designed to encourage and reward a high school blood drive coordinator for their efforts in stimulating interest and increasing the available blood supply within the Pennsylvania and New Jersey counties served by Miller-Keystone Blood Center. 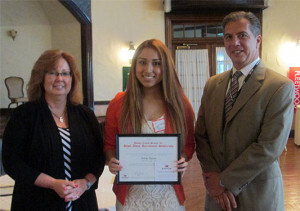 Scholarships are awarded PER SCHOOL based on the results of the individual schools’ blood drives during the school year. Pints are defined as units donated at the school’s Blood Drive by anyone including students, teachers, administration, parents, alumni, etc. Drives must be scheduled between May 1 and April 30. Collect a minimum of 50 pints per academic year. Scholarship award is available to any student on the Blood Drive committee at their respective school. 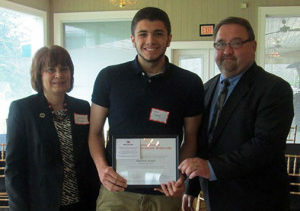 Recipients are selected by Miller-Keystone’s Scholarship Committee based on essay and application. Students wishing to be considered for a Scholarship award will need to submit an application. The award recipient will be selected from the pool of applicants within each qualifying school. Students applying for the scholarship award must be completing their Senior year of high school. Units do not have to come strictly from students — teachers, administration, parents, community members who donate at the school’s drives all count. Fixed site donations on behalf of the school will not count for the scholarship award, but they will continue to count for an individual’s graduation cord tracking (where applicable). The cut-off for blood drives is April 30. Drives held May 2018 will be counted for the 2018-19 school year. Drives held May 2019 will be counted towards the 2019-20 school year. For schools who may need a little extra assistance, or smaller schools who are concerned about achieving the benchmarks, our experienced Donor Resources Representatives are ready to help you reach your goal! It may be a simple as adding an additional blood drive during the school year, or adjusting the dates/times of your blood drives to accommodate donors from the community. To be considered for a scholarship award, students must complete the Blood Donor Recruitment Scholarship application (see below). Submissions must be received by the Blood Center no later than April 30, and must include: completed application, transcript, recommendation and essay. Incomplete submissions will not be eligible for a scholarship award. For more information on the Blood Donor Recruitment Scholarship, contact Debra Otto, Director of Donor Resources at 800-B-A-DONOR (223-6667) or via email.